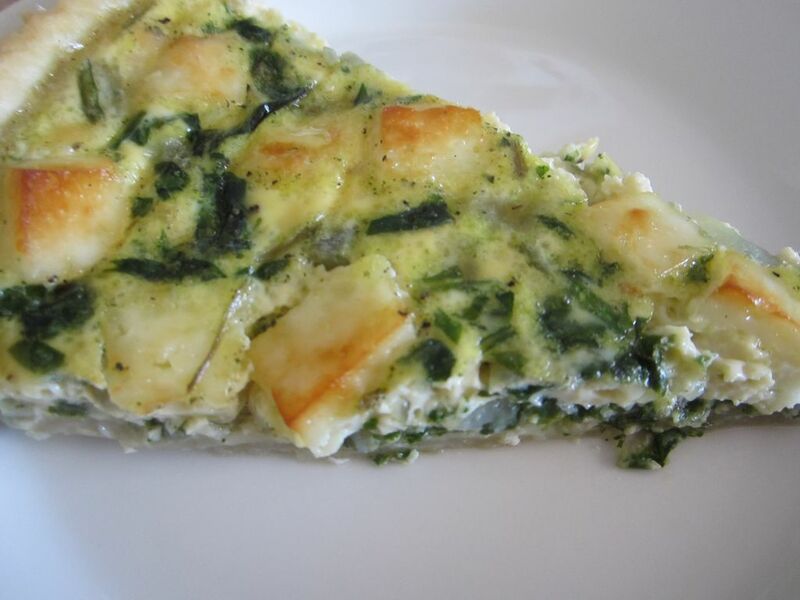 Spinach has a flavor I find hard to describe, let’s say it’s a strong green flavor that goes well with salty cheeses. Halloumi is a mild salty Cypriot cheese, there are some versions that taste saltier than other, yet less salty than feta, that I usually use in spinach quiche. Although I prefer halloumi paired with mint leaves it’s nice with spinach leaves too, especially fried halloumi compliments the green tangy flavor of spinach. 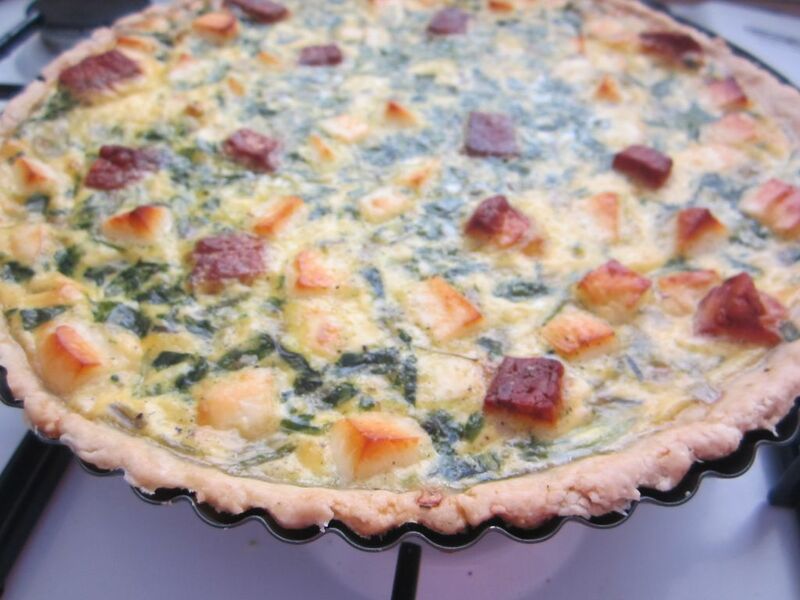 The crust I did with this quiche is without baking powder and consist very few ingredients, it’s fast to make and using ice cold water easy to work with.